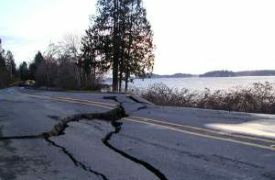 Washington Earthquake Insurance in Seattle Washington - Belltown Insurance Group Inc.
At Belltown Insurance Group Inc., we can protect your Washington property with earthquake coverage. We realize that earthquake insurance is necessary in Washington, so we will shop multiple companies to find the policy best suited to your needs. Owning a home in Washington, it is important to protect your property from any damage that may occur as a result of an earthquake. Damage from an earthquake can result in thousands of dollars in damage & most homeowners policies don't cover earthquake damage. At Belltown Insurance Group Inc., we can find the right combination of coverage and price. Let one of our Washington earthquake specialists shop our many earthquake insurance companies to find you the right policy - just fill out our short quote form or call us at (888)443-7744, and we'll contact you shortly. I was referred to Todd by a friend and so glad I was. Reliable, trust worthy and he saved me $80 a month from American Family. Todd is quick to do what you ask and always gets it done. Their claim service also has been excellent. I highly recommend him. Site by: AlicorSolutions.com •et; © 2019 Belltown Insurance Group Inc.